Rolodex Card A Day 263 was created with pictures of past RCAD that I printed doubles of by accident. 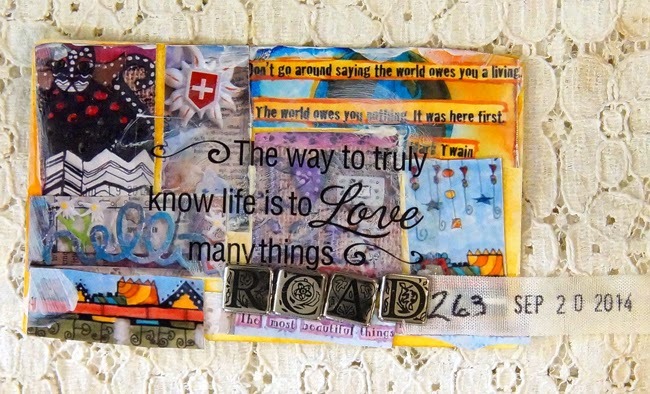 The quote says, "The way to truly know life is to Love many things." I really think that my cards have taught me that about myself. I was hoping to find one thing I liked to do the most and get very good at that, but I am finding I am one who loves it all and it is in the creating that gives me joy. I love the quote, "I know a little about a lot of things but I am a master of none." Thanks for stopping and have a wonderful Saturday!